Game Fighter Game Boy Clone – Better Than The Real Thing? | OhGizmo! Game Fighter Game Boy Clone – Better Than The Real Thing? By Andrew Liszewski on 06/22/09 • Leave a comment! A few months ago I picked up an original Game Boy off of Craigslist, just because, but I’d love to add this Game Fighter knock-off to my collection as well. It accepts and plays standard Game Boy cartridges and supposedly has a clearer screen than Nintendo’s original, though I’m not entirely sure what that means. 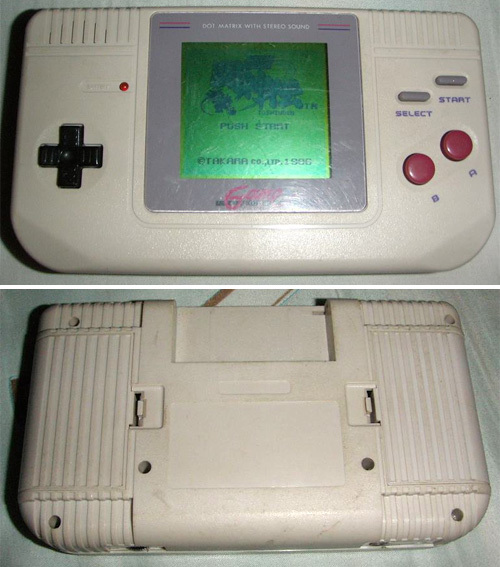 It also features a horizontal orientation like the Game Boy Advance, and while sadly this Game Fighter isn’t for sale, it appears to be part of Photobucket user difuno’s awesome gallery of classic handheld gaming devices that’s totally worth checking out.